If you can, try octopus pose along with your child. Children learn a great deal from watching others, especially those who are important in their life. In addition, moving together strengthens your emotional bond. Finally doing the pose gives you a chance to have a break and a stretch! If you have any concerns at all, consult a health professional. If you feel any pain – do stop. Take off your socks and shoes to best do octopus pose. Find a non-slip mat or an area of carpet where you can do octopus pose with your child. Make sure you both have enough room around you to avoid bumps and knocks. Find 4 (blue/green) streamers or ribbons and sit facing your child on the floor. Always use your own common sense about what objects may be dangerous for your child. Whilst they are playing with the suggested props supervise your them closely. NEVER leave them unattended, or with another child. Ribbons and streamers over 25 cm long can pose a strangulation risk. Give 2 streamers to your child and keep 2 for yourself. To start, wave your own streamers in the air with your ‘octopus’ arms. 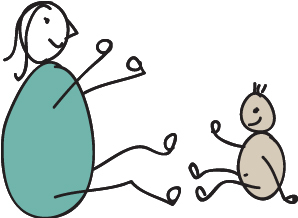 Draw big circles or ‘wriggly’ shapes in the air using big arm movements. Then encourage your child to copy you. As they wave their streamers, support your child to reach up high above their head and to reach out wide to either side. 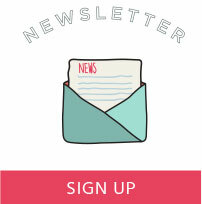 Now thread one of your streamers between your toes and help your child to do the same. Encourage your child to wriggle their toes and foot to move their streamer. This activity will bring your child’s awareness to their feet and toes, helping them have a clearer picture of where their body begins and ends. If your child is older, encourage them to thread their streamers between their toes on both feet. Then show your child how they can put their hands down behind their back for support, so they can lean back safely on their hands to wave their feet and streamers in the air! As your child waves their legs and arms in the air, they will be working their tummy muscles really hard. Encourage your child to keep their arms and legs well forward, in front of them, this will help them to find their balance and ‘wake up’ their tummy muscles. Your child and their friend will be working together in the more challenging version of octopus pose (see below). They will have to trust each other, but once they can do the pose together they will share the joy of achievement! Another great pose to try which develops teamwork is elephant pose. 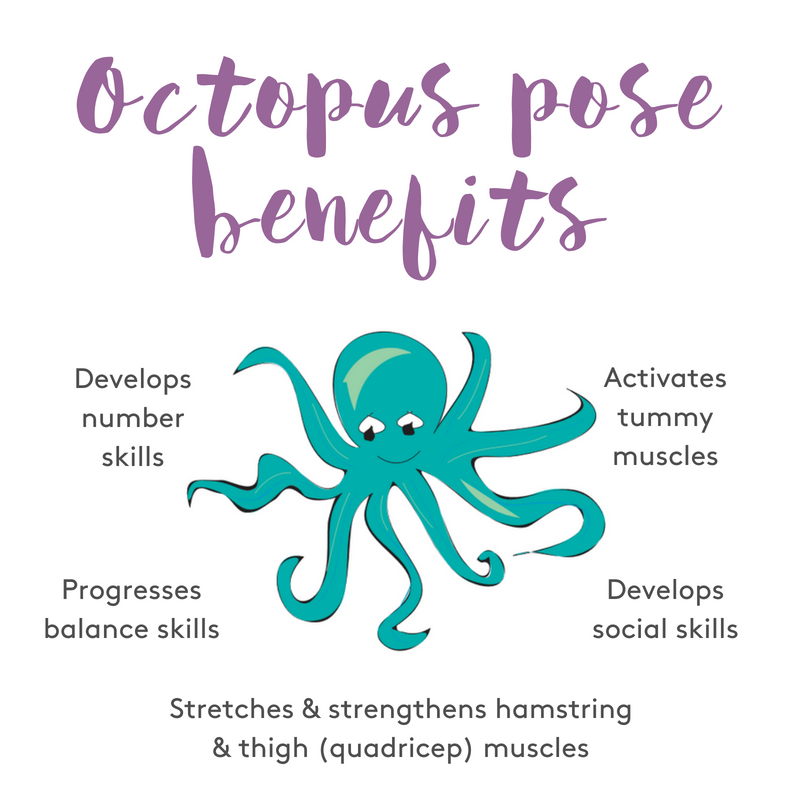 As your child bends and straightens their legs in Octopus pose they will be stretching and strengthening both their hamstring and quadricep muscles. The hamstring muscles run down the back of the thigh whilst the quadricep muscles run down the front. If these muscles are strong and supple your child will find walking, running, going up/down hills and steps much easier and will be able to keep going for longer! Anticipate the change of position and possible loss of balance. When your child places their hands down on the mat – so they can use them for support when they wriggle, move or lift their feet in the air – they are preparing their body for the possible loss of balance. This ability to prepare for, or to anticipate, a loss of balance is a critical skill which, once learnt, will protect your child throughout their life. Keep their balance as they do octopus pose, waving their hands or feet in the air. 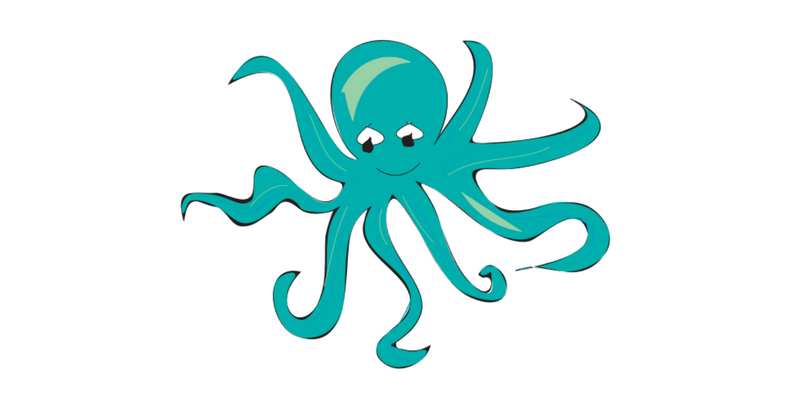 Your child will be able to keep their balance in octopus pose by refining their automatic ‘righting’ and ‘equilibrium’ reactions (both postural reactions). These reactions enable your child to move their head, body and limbs freely and independently. 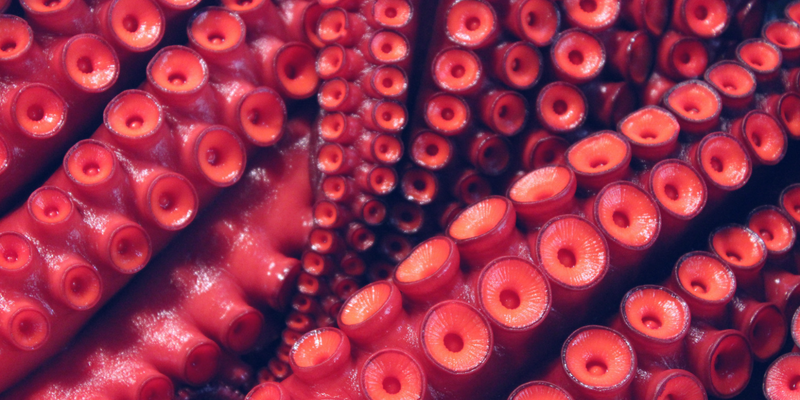 As you count the octopus tentacles together (all the limbs of both your child and their friend, or yourself), your child will improve their counting skills. Be a giant octopus! You can do this game with your child or they can do it with a friend (this might be easier, as they are likely to be of a similar height). Start the pose by guiding your child to sit with their back towards you (or their friend). Make sure you are not not sitting too close together as you need to lean back against each other for support. Then see if you and your child can lift one, or both, of your feet off the floor and wave them in the air. Can you wave your arms and legs in turn to count out 1, 2, 3, 4, 5, 6, 7, and 8 octopus tentacles! Try this if your child is younger. Find a wall which you can safely lean against with your child. Guide your child to sit with their back to the wall and their legs stretched out in front. Together, thread your ribbons/streamers between your toes. Show your child how they can shuffle their bottom a little way away from the wall and lean back against it for support. In this position they may be able to wave one or both of their feet in the air, waving their streamer as they do so! Once your child has the idea of balancing on their bottom, you can progress them onto the more challenging activity described above, where they are using their hands to support themselves as they wave their foot, or feet, in the air. Take this slowly though. Young children find it hard to get the idea of bracing their shoulders and elbows so they can support themselves through their arms, especially in this position. Once mastered though this is a really good activity for young children as often children lack good strength in their shoulders and arms and this can effect their fine motor (hand) skills.